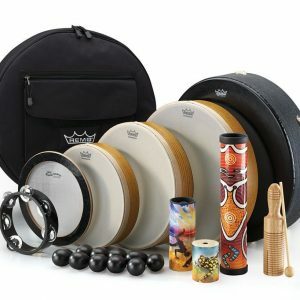 The Versa® Drum Combo Pack includes a Versa® Djembe, Timbau and Tubano® offering a wide range of tonal possibilities. Constructed with Acousticon® shells, Skyndeep® Fiberskyn® drumheads, and our Taper-Fit Drum Coupling System which is engineered to create an easy, self-sealing fit between the drumhead and drum shell for optimum sound quality. 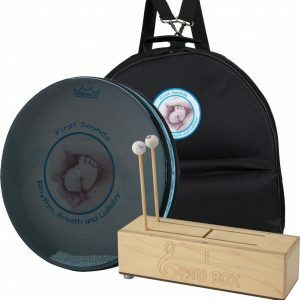 The Versa® Drum Packs are lightweight, portable, nestable and durable, making them a great place to start for any rhythm ensemble. 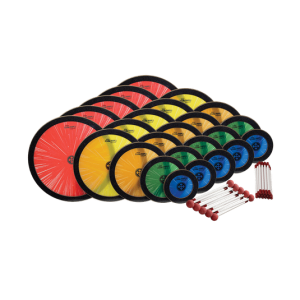 The Versa® drumheads are easily removable and interchangeable, with the option of playing them as Frame Drums. Versa® Drum Packs are ideal for encouraging and enhancing the use of drumming in Recreational, educational, medical and social settings. 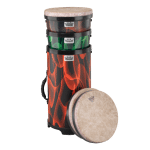 Available Size: Versa® Drum Combo Packs Includes 1-Versa® Djembe 13″ x 23.5″, 1-Versa® Tubano® 13″ x 24.5″ and 1-Versa® Timbau 13″ x 25.75.